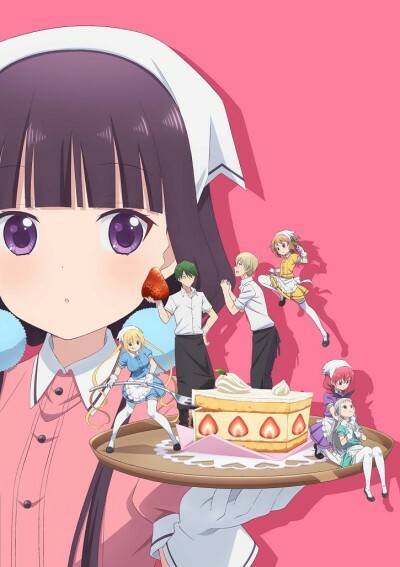 The story centers on a girl named Maika who gets a job at a cafe where all the waitresses are given certain attributes — such as "tsundere" or "little sister" — to embody while serving customers. The manager asks Maika to be the "Do S" (extreme sadist) waitress, so she will have to adopt a dominant and aggressive persona. Fun take on the Anime Tropes with a great cast of characters. A better-than-average slice of life/comedy with a slight twist on the typical cliché anime personalities.